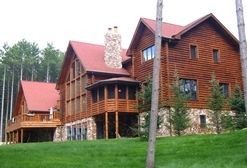 Who we are: Koetje Deck & Log Home Maintenance has been restoring log homes and decks in Michigan since 1993. 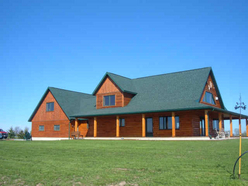 Owner—Terry Koetje began with a goal to provide professional, cost efficient work to customers who desire to have beautiful decks, patios, porches, log homes, and other various wood structures. Those early days of working out of a mini-van have grown and expanded to provide an extensive range of professional wood care and maintenance to thousands of customers. This work now includes caulking and chinking, natural wood preservation of exterior & interior wood homes, insect protection and construction repair of damaged wood. 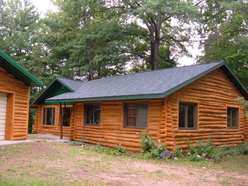 Terry carries a builders license through the state of Michigan, has gone through training to be a certified Wolman Wood Care Specialist, training for caulking and chinking through Sashco in Colorado and is a Dealer in Michigan for True North Log Homes. 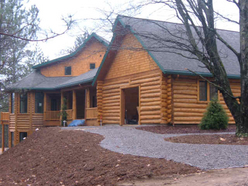 His knowledge of the proper care and maintenance of your home has developed from observing and then developing various work plans to best fit the needs of each individual wood care situation. 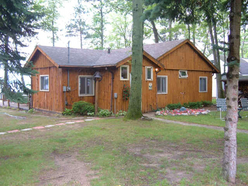 Terry enjoys discussing cleaning and preservation options with customers no matter if it is a new wood structure, maintaining care of an existing, properly cared for structure, or repairing severely damaged or decaying structures. 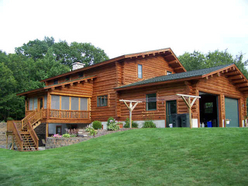 Each situation provides an opportunity to share his knowledge of wood care maintenance with you. 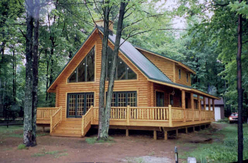 His goal and enjoyment is found in helping create beautiful and properly protected wood homes, decks and various wood structures. All rights reserved. 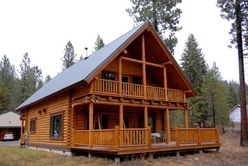 Koetje Deck & Log Home Services.